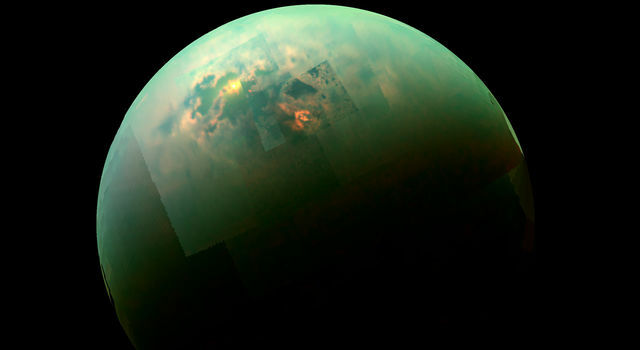 PASADENA, Calif. - NASA's Cassini spacecraft has discovered evidence that points to the existence of an underground ocean of water and ammonia on Saturn's moon Titan. The findings, made using radar measurements of Titan's rotation, will appear in the March 21 issue of the journal Science. 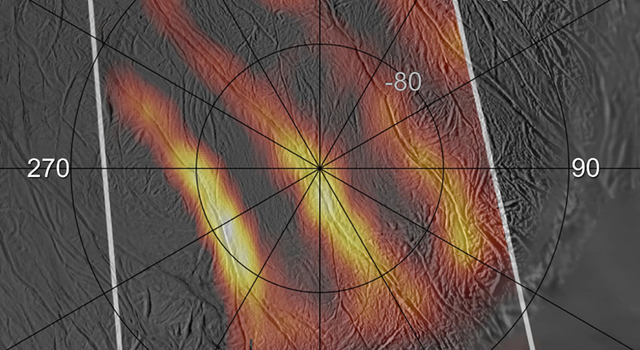 "With its organic dunes, lakes, channels and mountains, Titan has one of the most varied, active and Earth-like surfaces in the solar system," said Ralph Lorenz, lead author of the paper and Cassini radar scientist at the Johns Hopkins Applied Physics Laboratory in Laurel, Md., "Now we see changes in the way Titan rotates, giving us a window into Titan's interior beneath the surface." Members of the mission's science team used Cassini's Synthetic Aperture Radar to collect imaging data during 19 separate passes over Titan between October 2005 and May 2007. The radar can see through Titan's dense, methane-rich atmospheric haze, detailing never-before-seen surface features and establishing their locations on the moon's surface. Using data from the radar's early observations, the scientists and radar engineers established the locations of 50 unique landmarks on Titan's surface. They then searched for these same lakes, canyons and mountains in the reams of data returned by Cassini in its later flybys of Titan. 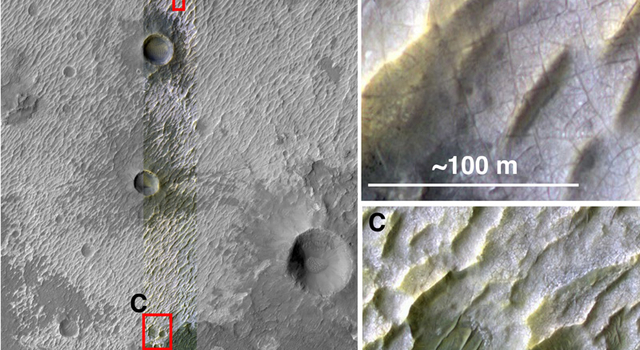 They found prominent surface features had shifted from their expected positions by up to 30 kilometers (19 miles). A systematic displacement of surface features would be difficult to explain unless the moon's icy crust was decoupled from its core by an internal ocean, making it easier for the crust to move. "We believe that about 100 kilometers (62 miles) beneath the ice and organic-rich surface is an internal ocean of liquid water mixed with ammonia," said Bryan Stiles of NASA's Jet Propulsion Laboratory in Pasadena, Calif. Stiles is a contributing author to the paper. The study of Titan is a major goal of the Cassini-Huygens mission because it may preserve, in deep-freeze, many of the chemical compounds that preceded life on Earth. Titan is the only moon in the solar system that possesses a dense atmosphere. The moon's atmosphere is 1.5 times denser than Earth's. Titan is the largest of Saturn's moons, bigger than the planet Mercury. "The combination of an organic-rich environment and liquid water is very appealing to astrobiologists," Lorenz said. "Further study of Titan's rotation will let us understand the watery interior better, and because the spin of the crust and the winds in the atmosphere are linked, we might see seasonal variation in the spin in the next few years." Cassini scientists will not have long to wait before another go at Titan. On March 25, just prior to its closest approach at an altitude of 1,000 kilometers (620 miles), Cassini will employ its Ion and Neutral Mass Spectrometer to examine Titan's upper atmosphere. Immediately after closest approach, the spacecraft's Visual and Infrared Mapping Spectrometer will capture high-resolution images of Titan's southeast quadrant. The Cassini-Huygens mission is a cooperative project of NASA, the European Space Agency and the Italian Space Agency. The mission is managed by JPL, a division of the California Institute of Technology in Pasadena. 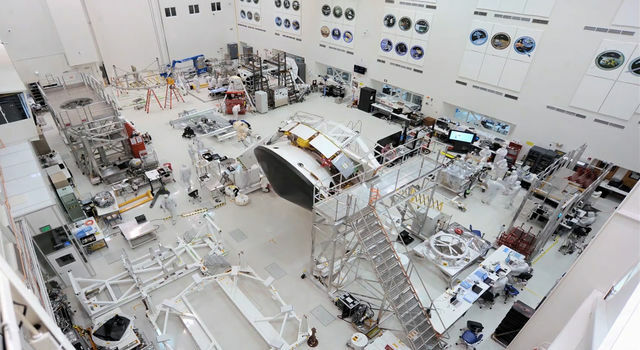 The Cassini orbiter also was designed, developed and assembled at JPL. The radar instrument was built by JPL and the Italian Space Agency, working with team members from the United States and several European countries. For information about Cassini visit: http://www.nasa.gov/cassini and http://saturn.jpl.nasa.gov .